Perhaps more than any other time in the past, the marketplace has become extremely digital. As technologies evolve, marketers are realizing more benefits of using digital marketing to sell their products and services online. Unlike in the past when consumers did little research before buying products on the web, today as many as 82 percent of them conduct research on the internet before buying anything. Marketers today understand that they are working in a crowded marketplace. They therefore know that to stay afloat they must continue to build client loyalty and brand awareness. 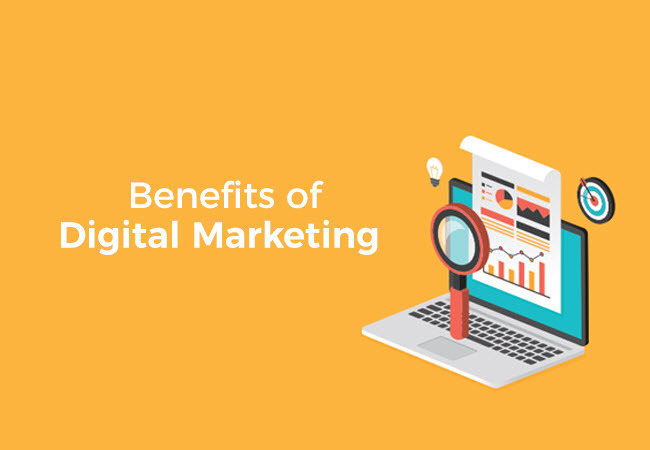 While there are the traditional forms of marketing that you can still use to stand out, digital marketing today is a must-have in your marketing toolbox. You have to find creative ways to stay engaged with your potential customers 24 hours a day 7 days a week. 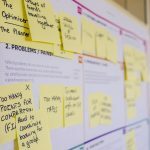 One effective way to do this is to keep your site up to date with unique engaging content that is helpful to your customers. Also go out of your way to create incentives that make your customers keep coming for more. Create a marketing campaign and run it 24/7. Now that the internet will not limit you to certain opening hours, use this to your advantage by paying your staff a little more to do overtime. This extra hours a day can give you incredible results and optimize your brand in ways that other methods simply can’t master. There are many ways you can attract the visitors you are targeting for your website. For instance, you can use proven followers hack to grow your audience on social media and then leverage this fan base to drive traffic to your website. Another effective digital marketing tactic is the use of search engine optimization (SEO). SEO is extremely effective at getting targeted users to visit your website. SEO helps you optimize your website for increased visibility on search engines. By finding the right keywords that describe your business, your product, or your service, you can attract targeted traffic that would most likely convert once it gets to your website. Small business owners sometimes think that SEO is for big businesses. This could not be further from the truth. It is advised to contact with efficient SEO agency to budget your SEO needs. Many people search for local businesses to buy goods and services from before considering buying from the bigger national and multinational businesses. Google reports that 33 percent of all its mobile searches are local searches where users look for businesses in their locality. Local searches are even more important for businesses like bars and restaurants that are specific to geographic regions. Practically any traditional marketing tactic you can mention will be more expensive than internet marketing. Traditional marketing methods are also often not time effective. To get started with digital marketing, you just need a little startup capital. You can begin with something as simple as social networking, email advertising or blog promotion staying away from costs like employees and work premises. From creation to publicizing and advertising, web-based promotions are cheaper than traditional product promotion. Offline promotions like on radio TV or daily newspapers cost a lot of money. For this reason, many traditional advertisements only run for a short time. With digital marketing, you can extend your advertising time for long term results. And all this can be designed and implemented within hours. If you’re advertising without driving your users to a specific page that is relevant to the advert they have just clicked, chances that they will not convert are high. Consequently, it is important to lead users to a piece of content that may make them want to convert and stay longer on your site. For instance if you are a sports brand and are advertising men’s running shoes, it would make sense to send users to the men’s running shoes landing page. The more relevant your page is to the advert that led to the click, the more likely it is that the user will convert. It is quite common to find business owners using the home pages as the landing page. More often than not, this leads to very frustrating ad results. In practically any digital campaign, it is extremely important that you think through the whole process, including the sites from which your users will see your ads. In most cases, you will usually find that your ad is well consumed when it appears in certain types of content on the web. To get that user’s attention, you might need to use captivating imagery. Therefore, when it comes to ads, use high quality images that capture the eye of even the most passive web surfers. Go for bold and beautiful images that convey and best representation of the offer on your website’s landing page. By making the images you use to standout, you increase the chances that a user will recognize your product or brand in case they were to see them somewhere else on the web later.